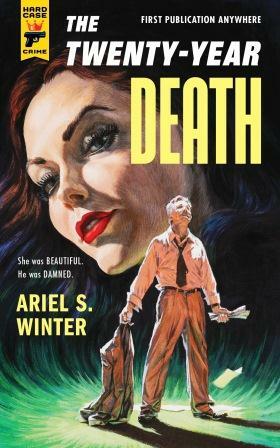 Ariel S Winter is the author of the widely acclaimed The Twenty-Year Death. Based in Baltimore, he also writes a blog called We Too Were Children Mr Barrie. You are not as well known in the UK as you are in the US. Would you like to tell us a bit about yourself? This year, I published two books, one a novel for grownups entitled The Twenty-Year Death, and the other a picture book for children entitled One of a Kind. I also write the blog We Too Were Children, Mr Barrie, about children’s books written by adult authors such as Gertrude Stein, Grahame Greene, and John Updike. What made you decide to write what are in essence three separate crime novels? In the summer of 2007 I began a novel I thought of as Cloud Atlas as written by W. G. Sebald. There was a first person narrator, very much like myself, who was sitting and reading novels. Each novel was presented in full, so the reader got to read exactly what the narrator was reading. The first book I wrote within that book was Malniveau Prison, a Georges Simenon pastiche that became book one of The Twenty-Year Death. When I abandoned the original scheme for the larger novel, I wanted to preserve Malniveau Prison, since I knew it was the best part I had written and it could stand well on its own. So at first, I expanded it so that it could be its own novel. But as I was working on that rewrite, I began to think about a mystery series in which the through character is not the detective, but someone else. That thought is what led to The Twenty-Year Death, a novel comprised of three novels with different protagonists that all share some of the same characters. 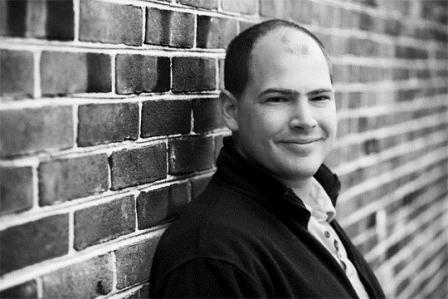 How did you approach writing each novel since you had to contend with three different voices? I wrote the books separately, so I did not have to jump between voices from day to day. I would work for a month or two in one voice, then a couple of months in a different voice. At the beginning of a writing session, I would read a paragraph or two of the author I wanted to emulate, to get the sound of that writer in my head. Then, as I wrote, I would make sure it sounded the same to me. Occasionally, I would refer back and read a sentence here or there of the original in order to make sure I had not strayed too far in my own writing. However, when I got into later rewrites, I stopped referring to the authors’ books, and made sure I sounded consistent myself. Why Simenon, Chandler and Thompson and not any other authors? Simenon happened simply because I was reading a lot of Simenon at the time, and thought I could do a Simenon novel pretty well. When I decided to expand the book to follow one character through different mystery styles, I chose Shem Rosenkrantz, the American writer living in France as the main character. A logical progression for an American writer living in France in the 1930s was to go to Hollywood in the 1940s, so Chandler made sense for Rosenkrantz’s life story. Since there were ten years between the first two books, I wanted ten years between book two and three, which put me in the 1950s. Jim Thompson was one of the most distinctive crime novelists of the ‘50s, and I was a big fan, so he seemed like the logical choice. Which is your favourite book by each author? Now, remember, Simenon wrote at least two hundred books, and I have read about sixteen or so. Of those, I will give you two, since Simenon divided his own books between the popular novels starring Maigret and the hard novels. The Maigret I like the best is The Yellow Dog, which is the book that most influenced Malniveau Prison in The Twenty-Year Death. It is about small town politics, and how far people will go to cover a conspiracy. Of the hard novels, I love The Engagement, about a petty pornographer infatuated by the woman in the building next to his who he can see through his window at night. Blinded by his passion for her, he does not realize that he has become the main suspect in a local murder. For Chandler, my favourite is Farewell, My Lovely. It is messy. Marlowe has no reason to be involved other than that he was passing by at the time and does not have anything better to do. It involves murder, blackmail, drugs, and gambling, and not all of the pieces matter. In fact, one of the best sections is only tangentially related. There is something about that mess that makes it more believable. And for Thompson, I of course love The Killer Inside Me, but I am going to push Savage Night. The main character is a sociopathic killer, but he genuinely wants to give up his life as an assassin. In fact, he has until The Man forces him to do one more job. He ends up posing as a student at a teaching college, working nights in a commercial bakery, just to get close enough to his mark. This is a Thompson character you genuinely root for. I expected to read some Chandlerisms but did not. Was there a conscious decision not to include any? I purposely avoided Chandlerisms, because I knew I could not come up with any nearly as good as Chandler’s. Bad Chandlerisms are often what defines a Chandler parody. My book is meant to be an homage, so I did not want to run the risk of sounding comical. It allowed me to focus on the tone and the plot without trying to be clever. Shem Rosenkrantz is the character that holds all the three novels together and he manages to do that extremely well. What was your inspiration for him? Rosenkrantz is loosely based on F. Scott Fitzgerald. Fitzgerald lived at different times in France, Baltimore, and Hollywood. His wife Zelda ended up institutionalized for psychiatric reasons. He dropped precipitously from the heights of popular and critical acclaim to begging for hackwork at the end of his life. Rosenkrantz did all of those things as well. But then there are many differences, like Rosenkrantz’s first marriage and son, writing for pornographic books, and taking up with a glorified whore, for examples. Plot or character? Which is the most important for you or do you feel that it has to be an equal measure of the two? Character is always more important. It is not necessarily about caring for the characters, it is about believing them. But once the character is believable, the plot still needs to be captivating. A great plot with weak characters will feel empty. Great characters in a bad plot will be disappointing and boring. So maybe my answer is both? On the front over the cover for The Twenty Year Death, is the face of film star Rose McGowan. How did Hard Case Crime manage to persuade her to model for the cover of the book? My editor Charles knew somebody who was good friends with Ms. McGowan. Through that contact, Charles was able to tell her that we needed somebody to pose as a great tragic French film star from the 1940s. Ms. McGowan is of French descent, so adding in the classic movie star part and the description was enough to make her interested. What problems if any did you come up against whilst you were doing your research? I don’t think people believe me, but I didn’t do any research for The Twenty-Year Death outside of Simenon, Chandler, Thompson, and Fitzgerald’s books. Everything I know about a French small town in the 1930s and Hollywood in the 1940s, I know from Simenon, Chandler, and Fitzgerald. I live in Baltimore, so I relied on myself for the geography of the third book. I occasionally would check a date to avoid anachronisms, but really, I didn’t do any research. You have worked in a library, as a book conservator, a bookseller and as a editorial assistant. Bearing in mind the rise of e-books which do you prefer Kindle or print and why? I prefer print still. It’s much easier to navigate. If I need to go back a few pages to check something or to compare multiple passages or even to compare things between multiple books, flipping through a physical book or books is much easier than using the bookmark function. I also like having the book up on the shelf. For me, ownership still has a physical component. I think there’s a lot of value to e-books: having access to out of print books, carrying many books on a trip, lower prices, but for regular, everyday reading, a want a book. You clearly love noir fiction, if you could choose to be one character who would it be and why? Eddie Valient. Eddie Valient in the movie version of Who Framed Roger Rabbit? not the original book. Sure, I’d have to contend with the murder of my brother and alcoholism, but I’d be tough, independent, and virtuous—like all good noir detectives. And I’d also gets the girl in the end and know Mickey Mouse, Bugs Bunny, Betty Boop, and hundreds of other cartoon characters. Talk about the best of both worlds. The Twenty-Year Death has been very well received, is there is anything in hindsight you would change? Not right now. Ask me again in twenty years, and I might feel differently. For now, I trust my editor, my agent, and my wife that it’s a good book. Are you a reader of crime fiction yourself and if so where do your tastes lie? Who have you been reading lately? I don’t read crime fiction exclusively, but I do like the genre. I tend to read the classics, like the three authors I used as muses, but also Hammett, Cain, Willeford, Doyle, etc. Recently I’ve been reading Tana French who is unbelievable. Her books make me feel like I could never write a good book ever. The writing, the characters, the plot, everything’s just perfect. Is there a book that you wish you had written and if so why? I wish I’d written Cloud Atlas. In some ways, The Twenty-Year Death came out of that desire. The ability to step in and out of genres and styles, to excel in all of them, and to link them together is incredible, and Mitchell does it flawlessly. Do other books still influence your writing and if so what other types of writing are you attracted to? Sometimes I feel guilty about how much I rely on other books when I write. As to what those books are, changes with what I’m trying to write, but I invariably read something in the vein of what I’m working on to help show me how to do it. I don’t usually take it to the extreme I did in The Twenty-Year Death, where I literally imitated styles, but reading is still a major component of my writing. Have you got a specific place that you do your writing and if so where is it? I write in the university library. I like the quiet. I like leaving home and going to a place to work. I like regularity. So I’ve written in the same carrel for ten years. At the beginning of the year, I rewrote an older book called And Other Permanent Things, about a family coming together for the eldest daughter’s engagement party only six weeks after the parents have announced their divorce. When the book release quiets down, I’ll go back to that most likely. I have some children’s ideas as well, however, some picture books and early chapter books, so we’ll see. Spread the word. Tell your friends about The Twenty-Year Death. More information about Ariel S Winter and his work can be found on his blog We Too Are Children, Mr Barrie.